DEERFIELD BEACH, Fla. – Leading Caribbean resort group Elite Island Resorts has appointed Kari Tarnowski as its Chief Marketing Officer (CMO), reporting to Steven Heydt, President. She will be based in the company’s Deerfield Beach office. With over 20 years of experience in marketing management and promotion, Tarnowski will be responsible for overseeing the day-to-day marketing activities of Elite Island Resorts across a variety of platforms including e-commerce, digital and loyalty marketing, customer relationship management, brand management, advertising, public relations and social media. Prior to joining Elite Island Resorts, Tarnowski was Senior Vice President of Marketing for Sandals Resorts. Her past experience also includes senior marketing positions with Regent Seven Seas Cruises, Silversea Cruises, and Hotels.com. Tarnowski holds a Bachelor’s Degree from Vanderbilt University. Elite Island Resorts represents an impressive collection of all-inclusive beachfront properties in the Caribbean. Each resort provides something unique for every traveler, with offerings ranging from destination weddings and romantic escapes to family retreats and eco vacations. Resorts include: St. James’s Club & Villas, The Verandah Resort & Spa, and Galley Bay Resort & Spa all in Antigua; St. James’s Club Morgan Bay in St. Lucia; Long Bay Beach Club in Tortola, BVI; Palm Island Resort in the Grenadines; and The Club, Barbados Resort & Spa. DEERFIELD BEACH, Fla. – Elite Island Resorts proudly announces exciting improvements to seven of the Caribbean’s most popular all-inclusive beachfront resorts. Each resort represented by Elite provides guests with a uniquely authentic Caribbean vacation. St. James’s Club & Villas, Antigua enhanced all of their menus earlier this year to elevate guests’ dining experiences. The resort’s Jacaranda Bar & Lounge, Docksider Restaurant & Bar, and Coco’s Restaurant & Bar all have a fresh new look. All four tennis courts were resurfaced to world-class standards, and the resort just opened its brand new state-of-the-art 3,700 sq ft Fitness Center with a yoga pavilion. The main lobby looks fabulous with its new on-site Colombian Emeralds™ jewelry shop. At The Verandah Resort & Spa, Antigua guests love the newly enlarged beaches and the colorful Wadadli Snack Shack on Rasta Beach. The property’s 18-hole miniature golf course has been resurfaced, and there are now electronic room locks throughout the resort. The resort will also debut six new Two-Bedroom Villas with individual plunge pools and partial water views in August 2016. Galley Bay Resort & Spa, Antigua has added chic new furniture throughout the resort, including upgraded sun loungers. There is a weekly Silent Cinema on the beach, a new beachside Spa Pavilion, and a yoga & Pilates deck right on the sand which hosts weekly classes. There is also a new Diamonds International™ jewelry shop on site, as well as a new Fitness Center, Gift Shop and Tour Desk. A brand new Rum Shack and Coffee Shop have just been completed as well! Perhaps most exciting is the completion of six newly remodeled Gauguin Suites. St. James’s Club Morgan Bay, Saint Lucia placed new artwork in all guest rooms, opened a beautiful new buffet area in the Palms Restaurant, updated décor in the Le Jardin fine dining restaurant, and enhanced menu options at all restaurants. Most popular among guests is the addition of the Choc Bay Café specialty coffeehouse, and the brand new spacious state-of-the-art fitness studio offering Pilates, spin and yoga classes just to name a few. Guests also love St. Lucia’s newest catamaran excursion aboard the Calypso Cat, which offers an array of romantic and adventurous sailing trips. In addition, the resort recently launched weekly beach parties with food, music and entertainment known as Fête Bor La Mer. Beautiful renovations have been completed at The Club, Barbados Resort & Spa including the reimagined Enid’s Restaurant and the brightly colored Rum Shop Bar. There is new artwork and upscale furniture in all guest rooms, with the oceanfront rooms receiving full bathroom remodels. The tennis court has been resurfaced, and new roofing has been completed on the main restaurant and bar areas. A private island paradise in the Grenadines, Palm Island Resort has also been freshened up while still retaining its rustic chicness. The restaurants boast new décor and menu items, guests are enjoying new linens in the rooms as well as new sun loungers by the pool & beach, and the gym has received new state-of-the-art equipment. The activities offerings have been amped up with new excursions and watersports equipment including Zayak Sea Sleds. Most notable is the addition of a new beachfront Spa featuring two treatment rooms, manicures & pedicures, a hair salon and a whirlpool tub, set to open its doors in May. Long Bay Beach Club, Tortola BVI is enjoying some new amenities including a beautiful beachfront pool, a seaside Spa Pavilion for breezy massages, and the addition of stress free in-room check-in for guests. The former upstairs Pasta House restaurant has also been transformed into the fine dining Verandah Restaurant. To view or download photos of these new updates, please visit www.eliteislandresorts.com/whatsnew. Elite Island Resorts represents an impressive collection of all-inclusive beachfront properties in the Caribbean. Each resort provides an authentic vacation experience for all travelers, with offerings ranging from destination weddings and romantic escapes to family retreats and eco vacations. For more information visit www.eliteislandresorts.com or call 800-771-4711. 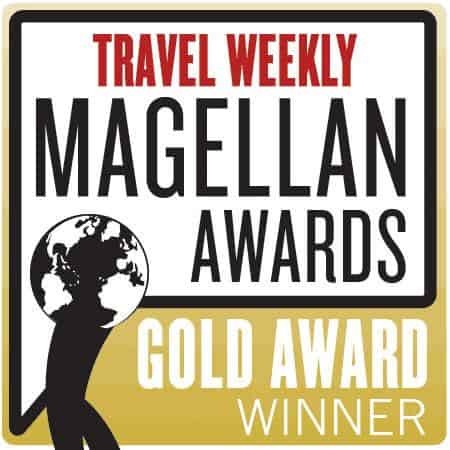 DEERFIELD BEACH, Fla. – September 28, 2015 – Travel Weekly has recently announced the winners of the 2015 Magellan Awards. With entries from around the world, Magellan Award winners represent the best in the travel industry. DEERFIELD BEACH, Fla. – June 2, 2015 – Long considered a leader in providing authentic Caribbean vacations, Elite Island Resorts proudly announces 7 recent new recognitions from TripAdvisor.com. As the world’s largest travel site, TripAdvisor serves as the leading source for hotel reviews and gauging guest satisfaction. 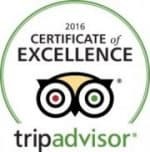 Each year, they award Certificates of Excellence to hotels that consistently achieve outstanding traveler reviews on their site. These hotels must have a minimum number of reviews to qualify, and maintain an overall bubble rating of at least 4 out of 5 throughout the year. DEERFIELD BEACH, FL – May 13, 2015 – When it comes to creating an authentic Caribbean vacation, Elite Island Resorts’ collection of beachfront properties offers the best in island style. To celebrate that style and invite others to join in the fun, the group has launched the Summer State of Mind Contest. From an exotic escape in lush St. Lucia at St. James’s Club Morgan Bay, to fun in the sun at St. James’s Club & Villas in Antigua, there is an Elite Island resort waiting to make an entrant’s dream vacation a reality. Once selected, the winners can choose to escape to one of the following Elite Island resorts: St. James’s Club & Villas, The Verandah Resort & Spa, or Galley Bay Resort & Spa, all in Antigua; St. James’s Club Morgan Bay in St. Lucia, or Palm Island Resort in the Grenadines. Elite Island Resorts represents a collection of all-inclusive beachfront properties in the Caribbean. Each resort provides something unique for every traveler, with offerings ranging from destination weddings and romantic escapes to family retreats and eco vacations. Resorts include: St. James’s Club & Villas, The Verandah Resort & Spa, and Galley Bay Resort & Spa all in Antigua; St. James’s Club Morgan Bay in Saint Lucia; Long Bay Beach Club in Tortola; Palm Island Resort in the Grenadines; and The Club, Barbados Resort & Spa. For more information visit www.eliteislandresorts.com or call 800-771-4711.